The Seattle Culinary Academy offers an innovative learning environment where you will gain hands-on experience in our student-run restaurants, sustainability education and other opportunities to hone your skills. At the end of the program, students showcase their knowledge and skills as part of the Chef of the Day capstone project. The presentation to chef instructors and the community showcase food completely planned, designed and executed by the soon-to-graduate students. Students showcase their knowledge of food pairings and international cuisine as well as their skills in food preparation as part of the International Tapas Competition. In fact, several of our students have gone on to compete internationally and have won prizes for their tapas creations. Each year students in the Seattle Culinary Academy, can apply for scholarships to attend Farm Culinary 101, a week-long professional development program on sustainability. Scholarships are awarded by Seattle Chefs Collaborative and the Quillisascut Education Fund. Additional information this opportunity will be provided as it becomes available.  Check out the Seattle Culinary Academy’s news and events to learn more about these and other experiential learning opportunities.